Although not a traditional Basque recipe, there’s apparently an ice cream similar to this one that’s very popular in San Sebastian. 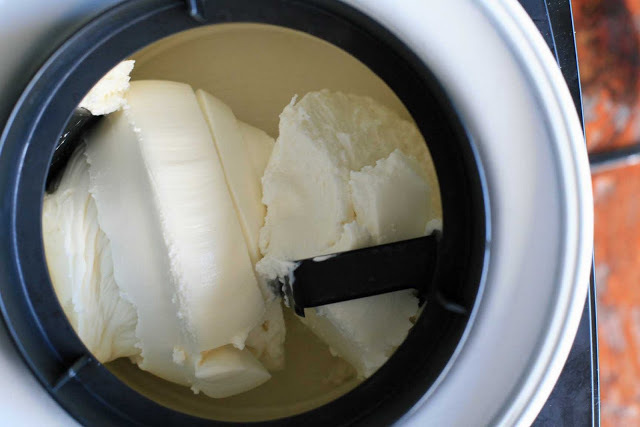 I’ll take every opportunity I can to get my money’s worth out of my ice cream maker and knowing that many of you are experiencing something of a heatwave at the moment is all the more reason to make and post it now. Teresa Barrenechea called it Cream Cheese Ice Cream but I thought it tastes exactly like cheesecake and so I took some liberties with the name. It’s the perfect way to get the taste of cheesecake without turning on the oven. 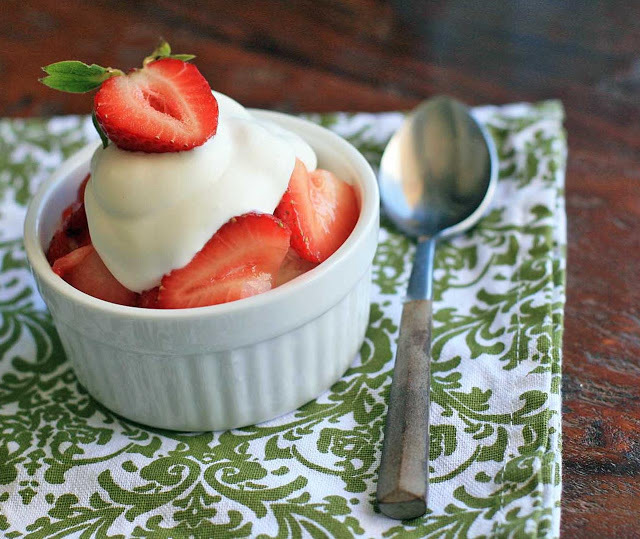 And although ice cream is great as-is, it’s even better with some strawberries on top. Those of you who want to go the super fancy pants route can sprinkle on a bit of balsamic vinegar. If you don’t have an ice cream maker, I think the base would also work really well as a Popsicle- just throw the sweetened, sliced strawberries in as well or blend them and make a strawberry cheesecake swirl. Combine 2/3 cup sugar and the water in a small saucepan over medium heat. Cook until the sugar dissolves. Remove from heat and let cool. Combine with the milk, heavy cream and cream cheese in a blender and blend until smooth. Place mixture in the refrigerator for a couple hours, or until chilled. Combine the strawberries and sugar in a bowl and let sit until the sugar has dissolved and the strawberries let off some juice. Place a scoop or two of ice cream in a small bowl and top with the sweetened strawberries. Top with whipped cream, if desired.